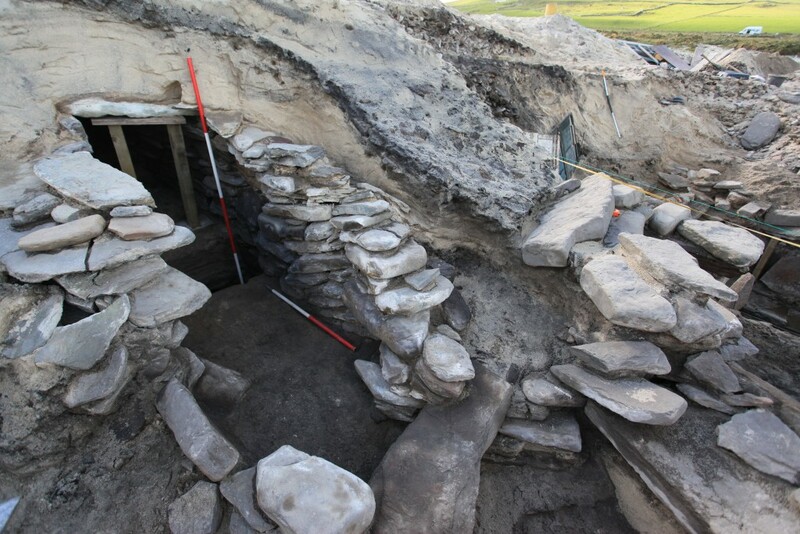 Archaeologists in Orkney have uncovered the remains of over 30 buildings dating from around 4000 BC to 1000 BC, together with field systems, middens and cemeteries. The find includes a very rare Bronze Age building which experts believed could have been a sauna or steam house, which may have been built for ritual purposes. EASE Archaeology recently made the exciting discovery on the periphery of the prehistoric Links of Noltland, on the island of Westray in Orkney, next to where the famous ‘Westray Wife’ was found in 2009, which is believed to be the earliest depiction of a human face in Britain. The work is being funded by Historic Scotland, who are this week merging with the Royal Commission on Ancient and Historic Monuments of Scotland (RCAHMS) to form a new heritage body called Historic Environment Scotland. Work has been carried out at the Links of Noltland for several years now but the most recent discovery, and one of the most remarkable to date, is that of an almost complete and remarkably well-preserved, very rare Bronze Age building which experts believe had a very specialised function and was used by select groups for activities such as rites of passage or spiritual ceremonies. It’s also possible that the building could have been used as a sweat house or sauna, for a number of activities ranging from basic healing and cleansing, or as a place where women could come to give birth, the sick and elderly could come to die, or where bodies were taken before burial. Rod McCullagh, Deputy Head of Archaeology Strategy at Historic Scotland said: “This is a beautifully preserved site with lots of tantalising clues pointing to its use as an important building, central to the community who built it. We know this was a large building, with a complex network of cells attached to it and a sizeable tank of water in the central structure which would likely have been used to produce boiling water and steam – which could have been used to create a sauna effect. What this would have been used for we don’t know exactly but the large scale, elaborate architecture and sophistication of the structure all suggest that it was used for more than just cooking. Whether its purpose was for feasting, rituals, important discussions, or maybe just for the same reasons we use saunas for today, is something we don’t yet know. The early analysis work suggested that the building is likely to be a ‘burnt mound’, which generally comprises of a fireplace, water tank and a pile of burnt stone. 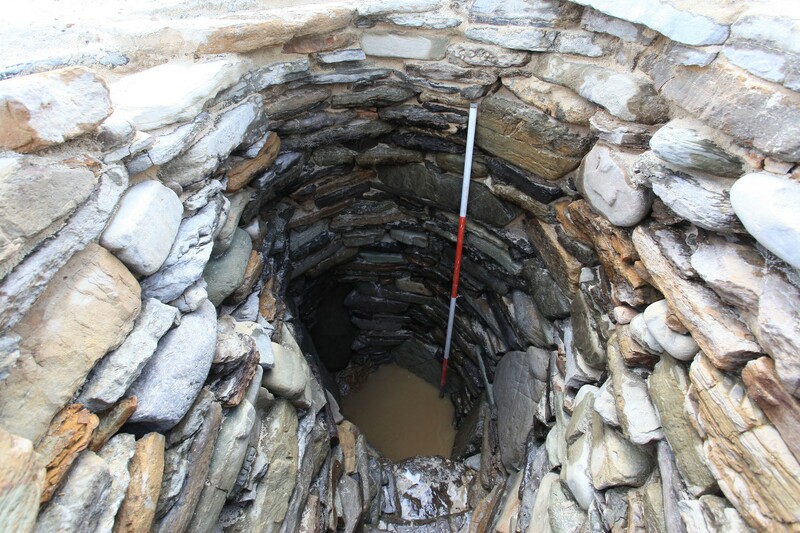 Through experimentation and reference to medieval Irish literature, experts have been able to deduce that stones were roasted on a hearth before being placed into the tank of water, bringing the water to a boiling point and producing lots of steam. The hot water could then be used to cook large quantities of food or for bathing, brewing, textile working, or any other of a range of activities. The hidden nature of the building together with its restricted access and tightly packed cells, suggest that it served a more specialised function than most burnt mounds and that rather than being a gathering place for the many, it would have been used by a more select group, and likely used a sauna or steam house. Examples in other countries show that such places are frequently associated with the performance of rites of passage and spiritual activities. In Scandinavia, for example, saunas represent ‘safe’ places associated with cleansing and healing but also where deals are done and important discussions take place. In Native American traditions, the architecture of the sweat lodge is heavily prescribed and rituals concerned with the spirit world are enacted. In the cold windy conditions in which the Bronze Age people at Noltland, the concept of an underground building, filled with fire and steam, is likely to have stirred the imagination. It may even have been consciously designed as a stage for ritual activity- perhaps in the form of a cult house or sanctuary. Although lying undiscovered for thousands of years, these incredible structures have been exposed by the effects of natural erosion in recent years, and with the impending threat to its survival, Historic Scotland decided it was time to investigate these remains in greater detail. The site will now be carefully backfilled in order to best protect it from the harsh Orkney winter, before potentially re-excavating again in Spring 2016.